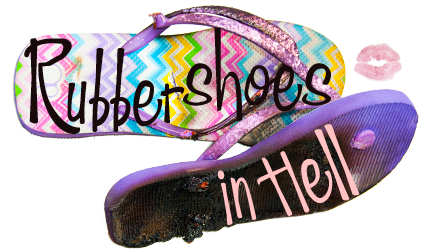 Humor - Rubber Shoes in Hell - Often tired, but rarely listless. Me: You know, I have a critique of these lyrics. Randy: Really? Because it sold millions of copies. Me: I’m not talking about that. I’m talking about a criticism I have of the lyrics, which are awesome. Except this one thing. Nope. I did not misspell menopausal. I meant to do that. I read about something today that made me squint a little and turn my head the way Gertie does when I vacuum the hardwood. Only I didn’t hiss. She usually hisses. Is there a Homeowner’s Guide For An Aging Population? We could use one.